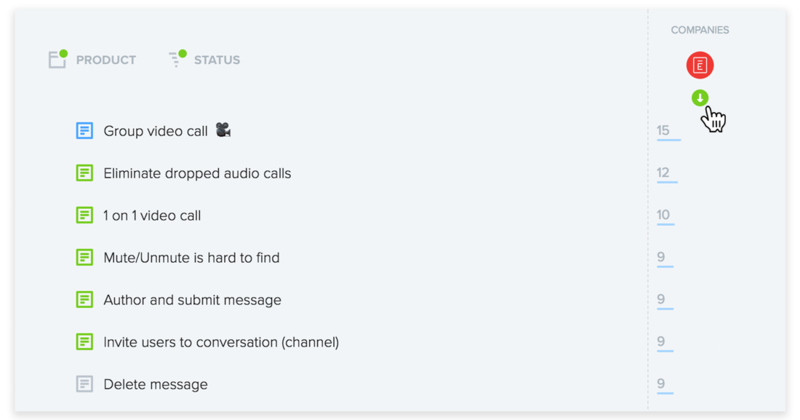 Whether you're prioritizing what to build next or prepping for a customer call, you can now filter by company to zero in on features requested by top customers. Narrow your filter to include only feedback of a certain importance or from a certain time period. You could even create a saved view showing all features requested by one or more members of your customer advisory board. 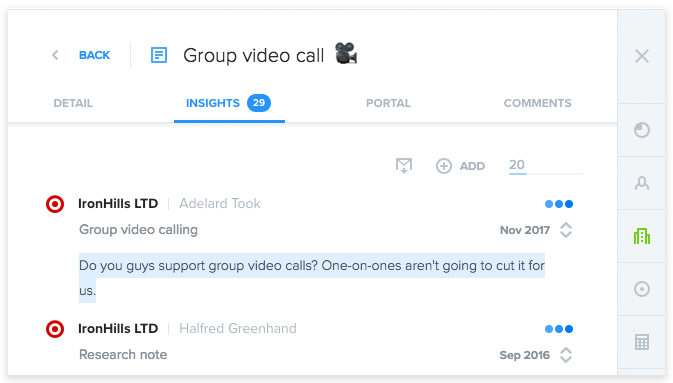 Portal end users can now add more than one piece of feedback on a given card. They can return at any time to review the feedback they've already provided, but they won't be able to see other users' feedback. In this way, users can also now update the importance they gave an idea. 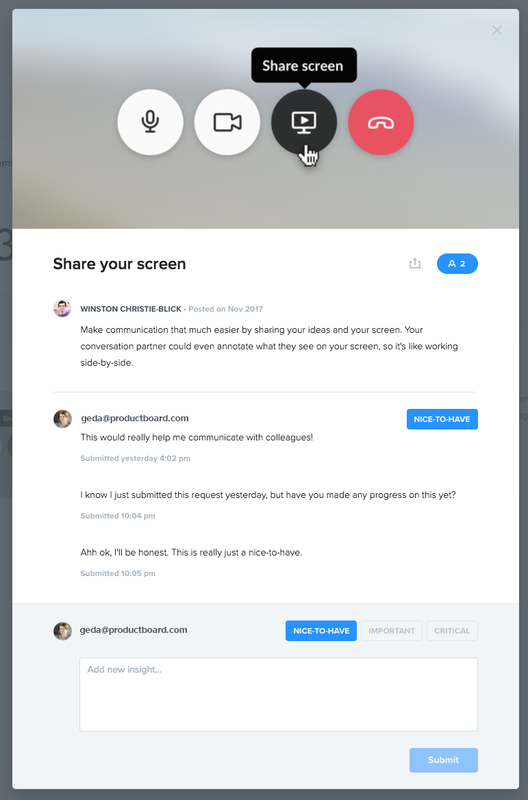 New sharing settings on each card allow colleagues or end users to share ideas with others. It's a helpful way for a salesperson to share a planned feature with a prospect, an end-user to drum up support for an idea with others in their network, or a marketer to share the launch of a new feature on social media. When Portal is shared selectively by link: Colleagues and customers can copy a direct link to the idea. 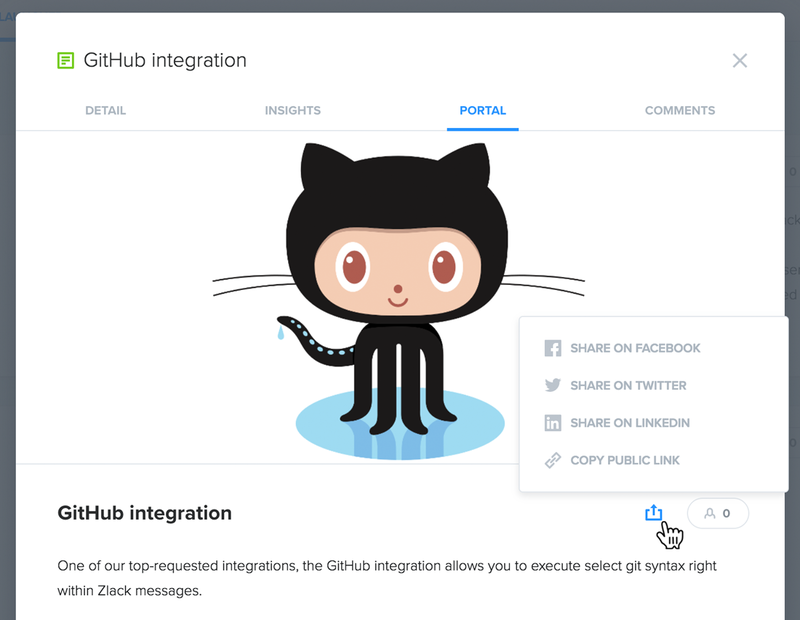 When Portal is shared publicly: Colleagues and customers can also share cards directly to Facebook, Twitter, and LinkedIn. We've divided feature details into four tabs. Less time scrolling means more time with family & friends. Prefer one tab to four? For the time being, you can toggle between the two layouts in Labs.